Hamas is operating freely on Turkish soil, gathering terrorist finances and looking for ways to upgrade the capabilities of the Hamas armed wing in Gaza, an Israeli security source has told the Investigative Project on Terrorism (IPT). It is highly likely that these activities occur with the knowledge of Turkish authorities, the source said. 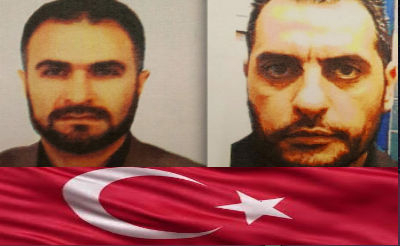 The comments come after Israel's Shin Bet (Israel Security Agency) domestic intelligence agency announced the arrest of two suspects –including a Turkish national – on suspicion of working for Hamas in Turkey. "There are Hamas military operatives in Turkey, not political operatives," the source said. The Shin Bet's investigation found that Turkish adviser Adnan Basha, who is close to Turkish government officials, set up a company called SADAT, which was tasked with assisting Hamas with money and weapons. A former Turkish general worked at the company, the IPT has learned. According to the investigation's findings, SADAT employees helped senior Hamas officials visit a 2015 weapons show in Turkey. There, the operatives showed interest in drone technologies. "Turkey's intelligence services are powerful. To believe that they would not know about this is unreasonable," the source stated. "These activities are taking place on Turkish soil with no interference, and in the knowledge of elements close to the Turkish government." According to the Shin Bet's announcement, Israeli security services arrested a Turkish law lecturer named Cemil Tekeli Jan. 1 on suspicion of assisting Hamas terrorists in Turkey. Three weeks later, Israeli-Arab Dara'am Jabarin, from the northern Israeli town of Umm El-Fahem, was arrested on suspicion of being part of Hamas's Turkey operations. The investigation found that "the two had been recruited in Turkey by senior Hamas terrorist Zaher Jabarin," who was released in Israel's 2011 prisoner exchange deal with Hamas, in exchange for the freedom of captive Israeli soldier Gilad Shalit. Jabarin "is responsible for Hamas's budget and promotes terrorist operations in Judea and Samaria [the West Bank]," the Shin Bet stated. Jabarin is under the command of Hamas's deputy chairman, and the head of West Bank operations, Salah Aruri, who is believed to be based in Beirut under Hizballah protection. In its statement, the Shin Bet released remarkable descriptions of Turkey's contribution "to the military strengthening of Hamas." Questioning of Tekeli, the Turkish law lecturer, revealed that the SADAT company "was founded to assist – with funds and war materiel – the creation of the 'Palestine Army', the goal of which is to fight Israel." "During the investigation, it became clear that Hamas is in direct contact with Turkish authorities via Jihad Ya'amur, a terrorist who was involved in the  abduction of IDF soldier Nahshon Waxman [the soldier was murdered by Hamas during an Israeli attempt to rescue him]." Ya'amur was also released by Israel in the 2011 Shalit deal. Tekeli's role, according to the investigation, was to assist Hamas terrorists who moved to Turkey personally and economically. Most of these terrorists were released in the Shalit deal and had taken part in deadly attacks on Israelis in the past. "Tekeli assisted them in obtaining visas that allowed them to stay in Turkey, in purchasing and renting commercial and residential properties, in purchasing luxury vehicles, and in becoming established in business via the registration of companies in their names," the Shin Bet stated. The investigation also exposed large-scale Hamas money laundering in Turkey, overseen by Zaher Jabarin. Hamas operatives in Turkey owned a company called IMES, "which served as a cover for the laundering of millions of US dollars that were transferred to the Gaza Strip and various countries," the intelligence agency said. "An account was opened for IMES with Turkey's Akbank. The company's chairman opened another bank account under his name with Türkiye Finans Bank." Subsequent questioning of Israeli Arab suspect, Dara'am Jabarin, who was allegedly recruited to Hamas's ranks by Jabarin, showed that the IMES company was used as a cover for meetings with recruits. Dara'am visited Turkey frequently over a period of 18 months, and was asked by his handlers to transfer Hamas funds from Turkey to the West Bank, according to the investigation. "His handlers in Turkey gave him hundreds of thousands of Euros for Hamas's military infrastructure. He hid the funds in various secret locations" in the West Bank, the Shin Bet said. "A search of his home uncovered 91,000 Euros which were due to be transferred to Judea and Samaria [the West Bank]." In recent weeks, additional suspects from the town of Umm El-Fahm have been detained in connection with the investigation. Tekeli was deported from Israel after the end of the investigation, while Dara'am Jabarin is due to go on trial in the coming days. In its official statement, the Shin Bet said Turkish officials turned a blind eye, and on occasion encouraged Hamas's economic and military activities. This activity occurred "with the assistance of Turkish nationals, some of whom are close to the government. This activity relies on – inter alia – business platforms that serve Hamas in laundering funds that are transferred to Judea and Samaria," the statement said. Speaking to the IPT, the security source said the arrest of the Israeli Arab man underscores a disturbing danger posed by Hamas's ongoing attempt to recruit Arab Israelis on Turkish soil. "This is problematic," the source said, referring to the fact that recruits with Israeli citizenship have full freedom of maneuver inside of the country, which can be exploited for hostile action.